Combining an extraordinary range of experience in aircraft financing with the highest level of customer service, Aircraft Finance Corporation has an impressive track record of delivering exceptional results for every client we serve. Whether you are a first-time buyer, trading up, or refinancing your current aircraft, Aircraft Finance Corporation will give you the lowest rate, combined with the longest terms. With over 20 years in the industry and with over $900 million in closed transactions and counting, we make sure that every transaction process is as seamless and efficient as possible, offering our clients 20-year amortization designed to maximize their cash flow. 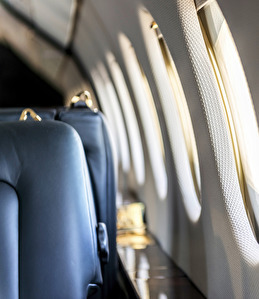 As a direct lender, we manage the process from the financial review, proposal, underwriting, documentation, and closing, to make sure that when our clients close on their aircraft, they do so knowing they got the best deal out there. We also offer brokerage options to clients as necessary, and we have private equity sources for clients requesting a different source of financing. Our products are designed to meet the needs of both private and corporate borrowers. After the financial crisis of 2008, the “Big Banks” altered how they look at aircraft transactions. With significantly shorter terms and stricter aircraft age requirement, they are no longer offering clients what we consider to be, “good deals”. These banks typically provide 5- to 7-year terms on pre-owned aircraft and require that the aircraft is no older than 7 to 10 years in age. We offer our clients up to 20- year terms for financing and refinancing on aircraft up to 30 years old. Most borrowers believe that they cannot get longer and better terms than what the traditional banks offer them. Additionally, most borrowers do not understand how much they will save every month by financing their aircraft with an aircraft finance specialist like us. Our 20-year Amortization is designed to maximize your cash flow and is our benchmark and our commitment to our clients. Most aircraft lenders won't offer that to their clients, especially not on pre-owned aircraft. We provide a 20-year amortization to clients that are financing or refinancing both new and pre-owned aircraft. 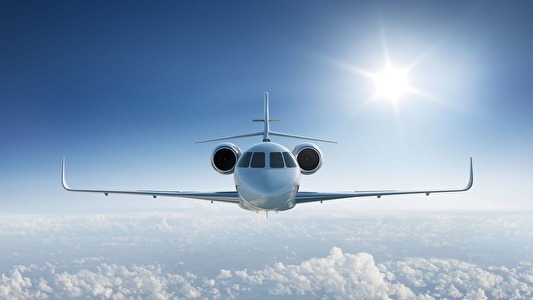 Our loans range from $750 thousand to $20 million on aircraft up to thirty years old. The average down-payment is 20%, and the average term is twenty years. We offer our clients flexible structures at highly competitive rates (fixed, floating and hybrid), with 3, 5, 7, 10 and 20-year loan products. Our team is a combination of aircraft and finance experts, and we can offer our clients additional help with their aircraft purchase if needed. We make it a priority to always be available for our clients throughout the financing process from start to funding. When our clients close on their aircraft, they do so knowing that they got the best deal out there.